Here at Oracle Dental in Broadbeach, we are very proud to say that we have treated generations of families over the many, many years we have been a dentist on the Gold Coast, over 30 years, but who’s counting. We are a family friendly dentist & love seeing the children that originally came to us with their mums & dads, now bringing in their own children, it is so rewarding. We get a lot of people ask when should my child visit the dentist? Around the age of two we encourage parents to start bringing their children in, (earlier if they have pain) when they have their regular check-ups, so their child can watch. After the parent is finished, their child can have a ride in the big chair, get their teeth counted & of course get a toothbrush & little gift & so their dental journey begins…..
Oracle Dental is all about making your child’s first encounter with the dentist a positive one! Some children are really excited to jump in the big chair & go for a ride, others that may be hesitant can sit on mum or dad’s lap. We never ever push a child, if they are uncooperative at this visit we are happy to try again another day. We are proud to say that we usually have children fighting about who wants to go in first! 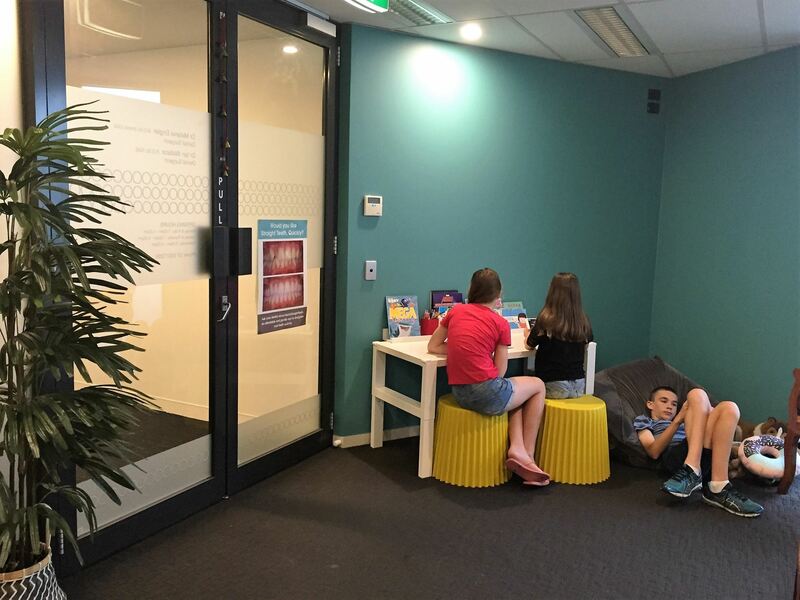 We pride ourselves for being a real family dentist on the Gold Coast & recently have done a few renovations just for the kids, which they are loving! We now have a designated ‘kids only’ area; it has heaps of colouring in books, an IPad with lots of games for all ages & a comfy beanbag to hang in. Even the littler ones are happy to play there, under the watchful eye of our mother hen aka receptionist Janine, while mum or dad have their appointment. This is a real bonus when you can’t find a baby sitter, ( so no excuse not to come now). Your children are precious & a lot of parents have lifelong fears from their own childhood experiences at the dentist, this is something we definitely don’t want to be passed onto your children. Being a children’s dentist on the Gold Coast, all our dentists & staff are parents themselves, some are even grandparents, so we have a lot of experience between us all! We love watching all our little patients grow over the years with strong healthy teeth, due to a great early start at a young age they really understand the importance of looking after their teeth & gums properly. Most of the treatment we do is preventative & by coming regularly, every 6 months, any small problems can be caught early. 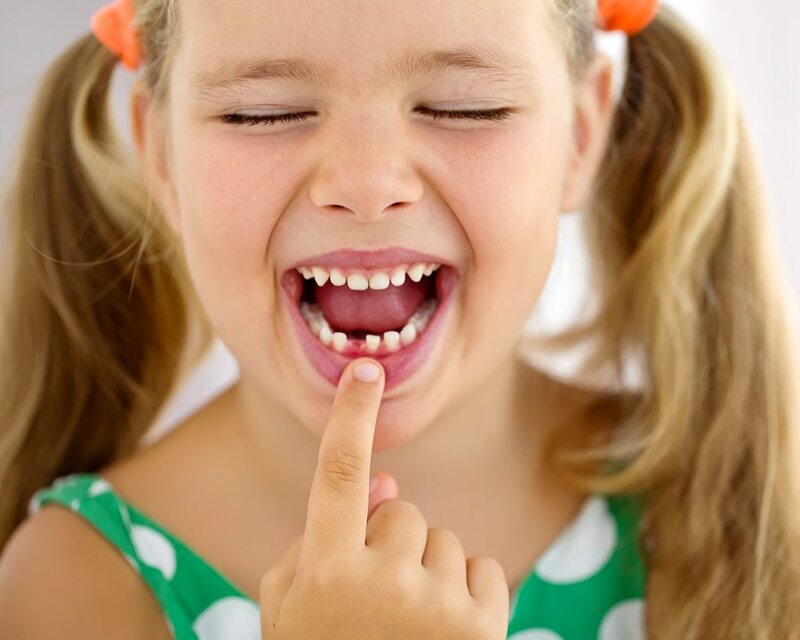 Oracle Dental also bulk bills the Medicare Child Dental Scheme, so remember if you claim Family tax benefit A & your child is aged between 2 – 17yrs of age, the government grants $1000 for dental treatment over a two year period. If you are not sure just call Medicare 132150 & check. We look forward to seeing your little ones soon & hopefully watch them grow into adults & bring their children in too. Oh, and keep watch for the exciting launch of our kids “no cavity club” in 2017.